GoXtra News: Pernod Ricard Unveils New Ballantine’s Look! 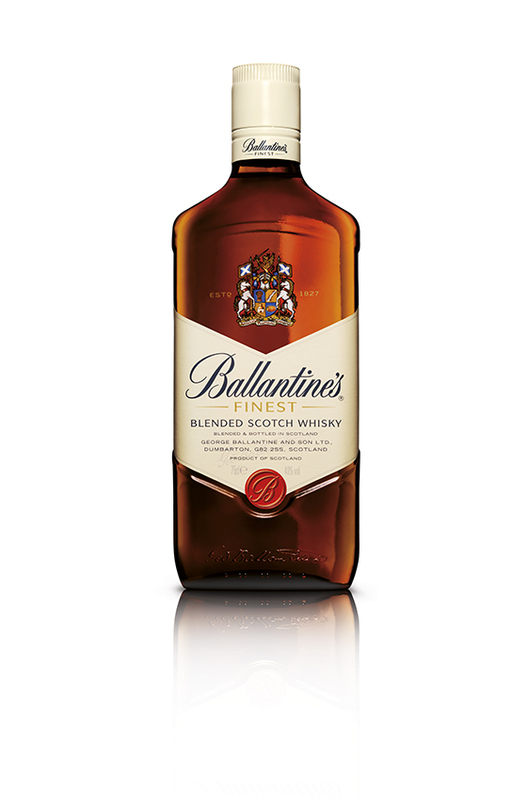 Pernod Ricard Unveils New Ballantine’s Look! Pernod Ricard has unveiled a bold new-look bottle for its Ballantine’s ‘Finest’ expression, aimed at the modern generation of whisky drinkers. The new bottle (RRP R140.00) will roll out across the country at selected retailers from September 2013. With design elements including a chevron-shaped label that echoes the iconic wings of the historic Finest label, the new look gives the bottle a more dynamic, eye-catching look on shelf. Premium quality cues have been enhanced through a more prominent positioning of the brand’s crest and a simplification of the Ballantine’s seal, which amplifies the Ballantine’s ‘B’. The word ‘Finest’ also features in a more premium gold colouring. Pernod Ricard noted: “The Ballantine’s Finest bottle has changed very little over the years, but we recognised a need for the look to be updated to offer our customers a stunning bottle that delivers stand-out on shelf. We wanted to ensure that our new design stayed true to our proud heritage and identified with our loyal customers, whilst also being seen as a contemporary, vibrant brand, and we’re delighted with the final result”. Alcohol is not for sale to persons under the age of 18!